Among the museum's “Ugly Truth” figures are Aunt Jemima and golliwogs. 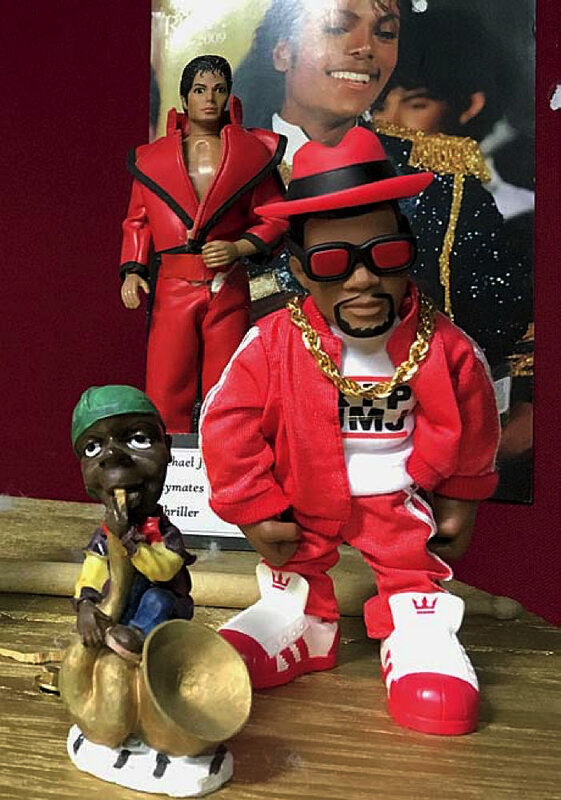 A whole room is devoted to black musical artists, including D.M.C. and Michael Jackson. In 2004, Debra Britt and her sisters, Felicia Walker and Tamara Mattison, began to collect and make dolls, doll clothes, and accessories. By 2012, the serious hobby had overrun their homes and “our husbands were, like, you got to get this stuff out of here,” Walker says. 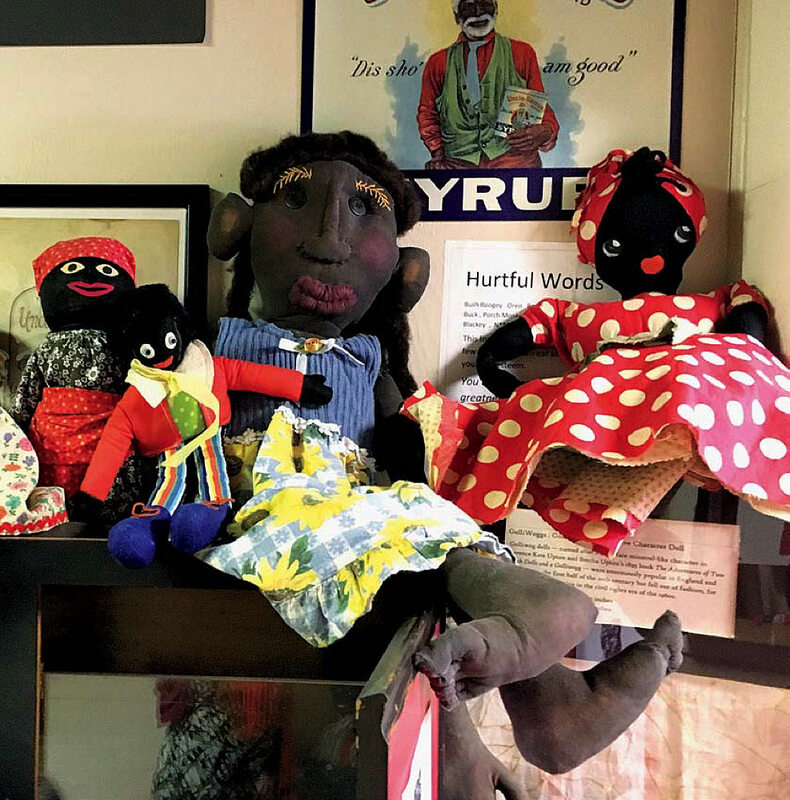 So they rented a storefront space in downtown Mansfield, Massachusetts, where they lived, and transformed it into the National Black Doll Museum of History and Culture. The nonprofit now features about 2,000 of their figures, Britt says, roughly a quarter of their still-growing collection. 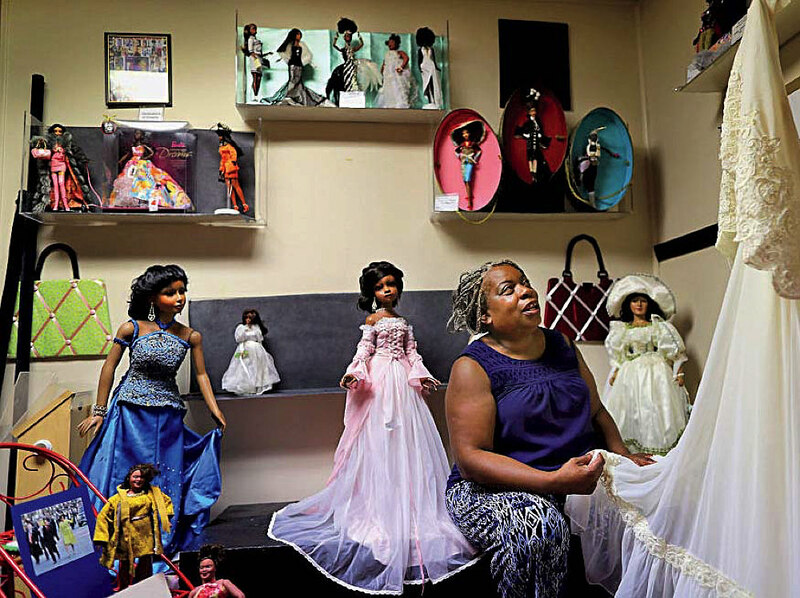 Their mission is to “nurture self-esteem,” especially among children, and to preserve the legacy of black dolls. The toys also pointedly reflect aspects of the centuries-long African-American experience. One room is packed with 780 African-style rag dolls (most crafted by the sisters), to recreate the inhumane conditions of a slave ship. “The Ugly Truth” display represents demeaning characterizations of black people: Buckwheat, Little Black Sambo, Aunt Jemima, and golliwogs, among them. Yet there are also hundreds of more contemporary figures symbolizing triumphs, artistry, and power: pint-sized Obamas; comic-book superheroes, including Black Panther; plenty of athletes, like Michael Jordan and Serena and Venus Williams; and leaders Martin Luther King Jr., Condoleezza Rice, and Jesse Jackson—along with scientists, legal scholars, businesspeople, and other color-barrier-breakers.